Jensen Bowers Planning Manager and expert development advisor, Ben Haynes, is witnessing a boom in Early Childhood and Child Care centre development in Queensland. 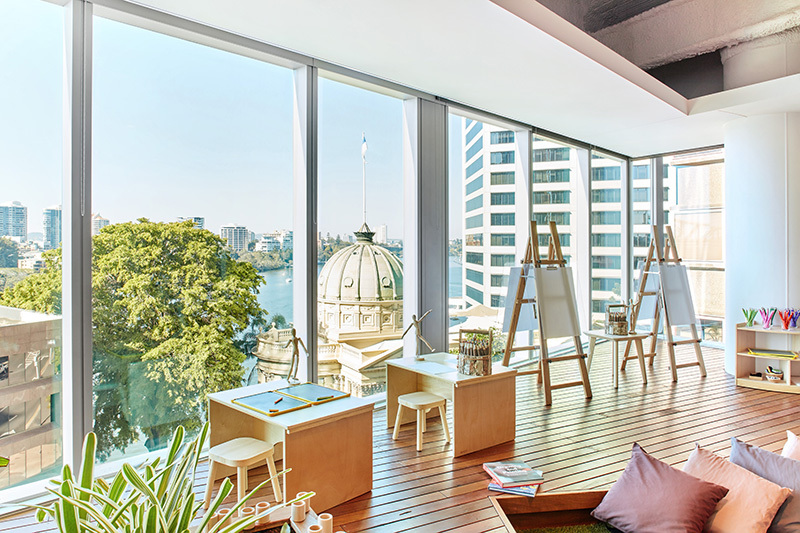 In a recent interview with Channel 7, Childcare facility boom headed to south east, easing waiting lists, which aired last week, Ben revealed the development hot spots and new centres around Brisbane. This heat map prepared by JB shows Childcare Centre Development Applications lodged with Brisbane City Council, since 1 July 2014. Little Darlings Early Development Centre. Our team of experienced Town Planners offer services for every aspect of childcare development including site sourcing, pre-DA and due diligence advice regarding development and approval prospects; preparing, managing and lodging development applications; and ongoing development advisory services throughout and post DA assessment. Do you need a Town Planner or Development Advisor for your next project? Call 07 3319 4933 to speak to a JB Town Planning Expert today.